In an unnamed country at the beginning of the last century, a child called Pavla is born to peasant parents. Her arrival, fervently anticipated and conceived in part by gypsy tonics and archaic prescriptions, stuns her parents and brings outrage and scorn from her community. Pavla has been born a dwarf, beautiful in face, but as the years pass, she grows no farther than the edge of her crib. When her parents turn to the treatments of a local charlatan, his terrifying cure opens the floodgates of persecution for Pavla. "Little Nothing" unfolds across a lifetime of unimaginable, magical transformation in and out of human form, as an outcast girl becomes a hunted woman whoseultimate survival depends on the most startling transfiguration of them all. Woven throughout is the journey of Danilo, the young man entranced by Pavla, obsessed only with protecting her. 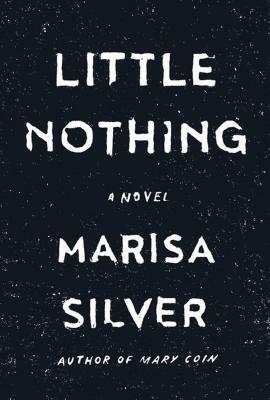 Part allegory about the shifting nature of being, part subversive fairy tale of love in all its uncanny guises, "Little Nothing" spans the beginning of a new century, the disintegration of ancient superstitions, and the adoption of industry and invention. With a cast of remarkable characters, a wholly original story, and extraordinary, page-turning prose, Marisa Silver delivers a novel of sheer electricity. Marisa Silver is the author of the novel "Mary Coin," a "New York Times" bestseller and winner of the Southern California Independent Bookseller s Award. She is also the author of "The God of War" (a "Los Angeles Times" Book Prize finalist); "No Direction Home"; and two story collections, "Alone with You" and "Babe in Paradise" (a "New York Times" Notable Book and "Los Angeles Times" Best Book of the Year). Her first short story appeared in "The New Yorker" when she was featured in the magazine s first Debut Fiction issue. Silver s fiction has won the O. Henry Award and been included in "The Best American Short Stories," "The O. Henry Prize Stories," and other anthologies. She lives in Los Angeles."